HUD took down its Fair Housing Assessment tool. CaRLA put it back up. Earlier today, the federal Department of Housing and Urban Development issued a press release announcing that they will be withdrawing their Local Goverment Assessment Tool. Within minutes of it being taken down, CaRLA was able to restore public access to it through our Resource Library. The tool could originally be downloaded from the HUD Exchange website. Within minutes of HUD’s announcement, the tool was removed from the public internet, with the agency claiming it was “substantively deficient and unduly burdensome”. Secretary Carson, Fair Housing is not a burden, its a human right. Today’s national housing crisis can only be understood through its historic context. HUD’s Affirmatively Furthering Fair Housing rule forces local communities to consider this history of redlining, dispossession, eviction, poverty traps, and other segregationist policies by requiring them to affirmatively demonstrate they are taking steps to integrate our cities and furthering fair housing. 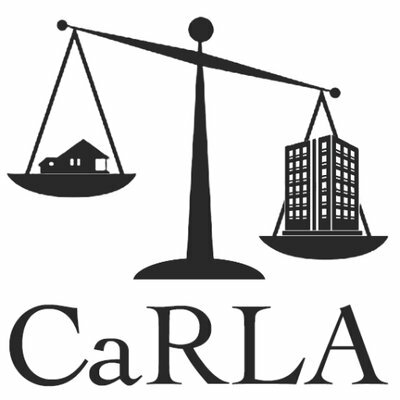 Tools like the Fair Housing Assessment Tool are imperfect, and yet they are absolutely crucial to dismantling systemic segregation in housing. The Department’s decision to rescind the tool with little to no notice is typical of a regime looking to take a serious human rights issue–housing–and sweep it under the rug. Without tools and data, it becomes harder to empirically describe the disadvantages and oppression targeted at groups of people for no reason other than their economic class or skin pigment. Actively removing these things is an act of violence against those the tools aim to protect. To combat this, CaRLA has re-published the tool on our website. Interested persons may download it through our Resource Library.